If the girls raise more than $1000, KATIE WILL SHAVE HER HEAD! That's 9 years of growth and 30" of Katie's pride and joy to give to other kids who need it. 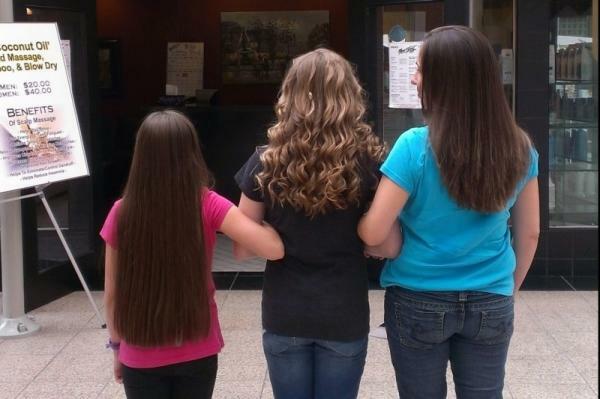 If they raise more than $1500, their mother will also donate her hair! Donations of any amount are greatly appreciated and will also be sent to Locks of Love. paul cena and Dileep Thomas like this.